I have long had a love and passion for Disney. 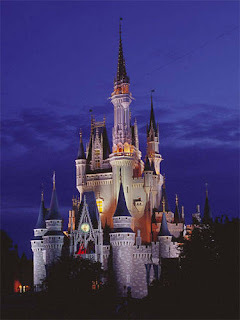 I have been to Disneyland several times, but never Walt Disney World. It has long been a dream of mine to be able to go and be able to share that with my children, it opened the year I was born, so we just shared our 40th birthdays. Well, last year Mark and I decided to make that dream a reality. We have planned virtually every detail of this trip, made advanced dinner reservations, and began our countdown. For several months we told the kids that just Daddy and I were going. We had a lot of fun with that and they were very miffed at being left at home. Fast forward to Christmas day and we could finally share the news that we would be taking our first family vacation....yes, they would be coming with us. The kids were very excited and we let them help finalize some of the plans. Tickets to Legoland were bought for a guys day, the girls are going to eat dinner with the princesses and go to pick a pearl at Epcot. AND THEN...D joined us. I am sure the nurses and doctors thought we were crazy, because we were all wondering how to do D on our vacation? Would we have to cancel? The information was so overwhelming, how would we do all of that at home let alone on a cross country vacation? "How exciting! I think Alaskans don't get out very often and a trip like this is important. We need a break from the dark and the cold and we don't have a lot of food options here. So go on your vacation and do what you want and eat where you want. Do the best that you can at figuring his carbs, take extra insulin, take your cell phone and take my phone number. Your phone will work from Florida and we will manage this." They just updated park hours today and one of the days that we are there, Magic Kingdom will be open until 3 a.m. We all wanted that to happen so bad, because only resort guests get to take advantage of that, lots of families do not do it because their little ones fall asleep, a lot of times you can just walk off and right back onto a ride and then when you are walking out of the park, you can get pictures of the castle, etc. with just your family because the park is pretty much deserted...I AM SO EXCITED ABOUT THIS!!! Be still my beating heart, I am so excited to fulfill this dream. We will begin packing next weekend. Need to read the TSA website to see how we will need to carry Seth's supplies on board with us, I do not trust expensive medicines like that to be checked. So we are taking D on the road only 2 months in, this will be an adventure for sure. How exciting! I so want to stow away in one of your bags! We went camping for the first time less than a month into Bean's dx...not as big of a deal as a cross country trip, but still a huge step for us. My one word of advice is to have a carry on bag designated for all of the D stuff...makes security easier if they only have to 'deal with' one bag AND it makes it easier for you to know where everything is! Yes, Carry on all your D supplies! I've never had any ptoblems gettinf through security with needles and insulin. I have had them want to inspect my pump before, but you just kindly explain what it is anf go through the scanner with it. No worries! Just don't check it!!! Because you will need your supplies on a flight that long. AND if there was one bag they would lose it would be the one with the D supplies in it! All in one carry on bag is the best way to go. Hope you have a blast! Just carry lots of snacks for when the sugar drops after all that walking! I am so excited for you guys! When you come back I'd love for you to teach me how to plan a trip like that. Tom & I committed to taking a trip together in two years for our 20th anniversary.